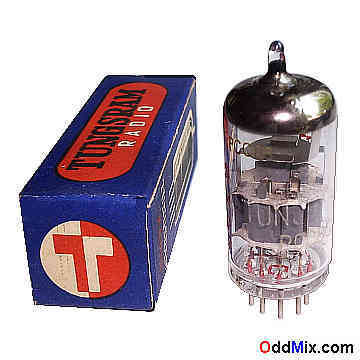 This is a genuine, rare, vintage, historical, European type PCC88 High-Mu Low Noise Twin UHF Triode Electron Tube made in Hungary by Tungsram. Good subtitute - except for the filament voltage - are the ECC88 and 7DJ8. Typically used as cascode RF, UHF amplifier, electronic equipment, radios and receivers. Excellent for antique FM radio and TV [television] restoration projects or to set up a private vacuum tube museum. It is NOS tube - New Old Stock, unused, in excellent condition. First come first serve. One available!